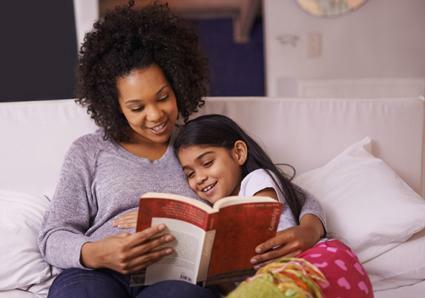 Reading to your children at bedtime can help build parent-child bonds while instilling a love of reading in your child. Whether you enjoy a quick picture book, a silly rhyme, an adventurous fairy tale, or a more involved chapter book, there are many excellent bedtime stories for parents to read to their children. Maurice Sendak wrote his classic picture book, Where the Wild Things Are, in 1963. It has been a favorite bedtime read for more than 50 years. In 1964, the book won the Caldecott Medal, honoring the year's most distinguished children's picture book. The book tells the story of Max, a young boy who dresses in a wolf's costume and gets a little wild in the house. Because of that, he's sent to bed without dinner. His room slowly turns into a jungle, where Max dances with the wild things, eventually becoming their king. 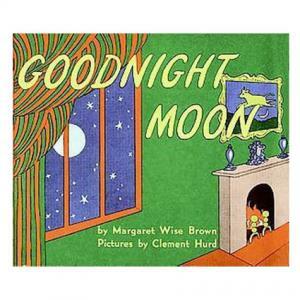 Margaret Wise Brown wrote Goodnight Moon in 1947. In the past six decades, this gentle tale has withstood the test of time, remaining a favorite bedtime story. In 2012, the book landed in the number four spot on School Library Journal's Top 100 Picture Books of All Time. It also made the National Education Association's Top 100 Books for Children. The story features a small bunny saying good night to all the things it sees as part of a bedtime ritual. The book has a rhyming format that children enjoy. Another of School Library Journal's Top 100 Picture Books of All Time, Stellaluna tells the story of a fruit bat who is separated from her mother and lives with a family of birds. Because of this, Stella learns to be like a bird and not like a bat. However, one night she encounters another bat and learns it is her mother. Stella's mother teaches her to be a bat again. Stella returns to her bird family to show them what she has learned, asking her siblings to fly at night with her. Unfortunately, the birds are unsuited to flying after dark, but the bats and the birds come to the realization that love transcends species. Along with being named on multiple top 100 children's book lists, Stellaluna's author, Janelle Cannon, received a bat conservation award from the Organization for Bat Conservation. When the family dog decides to no longer take a bath, he buries the washing brush in the backyard. Then, he gets very dirty. Unfortunately for Harry, he is so dirty his family doesn't recognize him, until he returns the brush to them so he can have a bath. 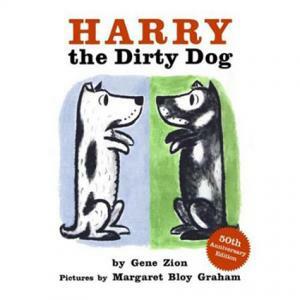 Written in 1956 by Gene Zion, Harry the Dirty Dog is a well-known classic that has remained popular for nearly 60 years. In 2002, the book even received a brush up with some extra color added to the illustrations. The book sits in the number 66 spot on the NEA Top 100 Books. This is a beautifully-illustrated children's book by Chris Van Allsburg, and it makes a wonderful holiday bedtime story. The Polar Express received the 1986 Caldecott Medal for picture books. In the story, a train comes in the night on Christmas Eve and a boy rides it through the snowy night to the North Pole, where he meets Santa and receives a very special gift of a reindeer's harness bells. Arguably the most popular of C.S. 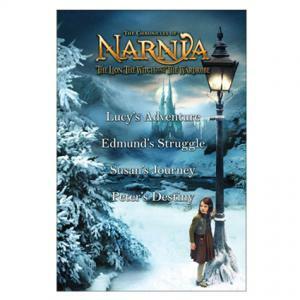 Lewis's Chronicles of Narnia, the Lion the Witch, and the Wardrobe is the second book in the series that introduces readers to the magical land of Narnia. In the book, the Peter, Susan, Edmund, and Lucy Pevensie are London war evacuees living in a country home. The home has a magical wardrobe that Lucy discovers one day during a game of hide and seek. As Lucy hides, she notices that the wardrobe doesn't end at the wall. Instead, it takes her to the land of Narnia, where it is always winter. The siblings meet amazing creatures in Narnia, including Aslan the Lion. The book takes readers through a classic battle between good and evil. Lewis published the book in 1950. In 2010, Time Magazine ranked it as one of the best 100 English language children's novels of all time. It is a fantastic read aloud adventure for children, who love the magical land and the talking animals the Pevensie children encounter. For adventurous parents, buy the entire Chronicles of Narnia collection, and you'll be reading for months. Roald Dahl's classic story is the perfect serial bedtime story, allowing for a few chapters every night. The book tells the story of Charlie Bucket, who finds a golden ticket that allows him to tour Willie Wonka's chocolate factory. In the factory, Charlie and several other children discover many delights, including the hard-working Oompa Loompas and an array of magical candy creations. Charlie and the Chocolate Factory has received multiple awards and accolades since its initial publication in 1964. These include a 1974 New England Round Table of Children's Librarians Award and a 2000 Millennium Children's Book Award in the UK. If your kids like rhymes, whimsical illustrations, a silly story, and a mischievous cat, then they'll love Dr. Seuss's The Cat in the Hat. Theodor Geisel (a.k.a. Dr. Seuss) wrote the book in 1957. It tells the story of a tall cat wearing a tall hat who comes to Sally's house one day when her parents are away. There, he makes a huge mess having a lot of fun, and then cleans it all up just in time for Sally and her brother's parents to return home. 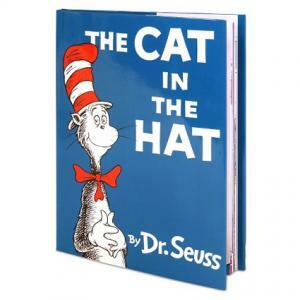 With simple rhymes, many single syllable words, and an engaging plot, the Cat in the Hat encourages kids to read along with you, making it a great bedtime book. Many critics have issued similar acclaim to the book, which is on both the NEA and the School Library Journal's Top 100 books lists. For a sequel, don't forget The Cat in the Hat Comes Back. More mischief ensues. When Wilbur, the pig, is in danger of slaughter because it is the runt, Fern saves it. Later, he goes to live on Fern's uncle's farm, where he is once again destined for slaughter. A spider named Charlotte, however, saves Wilbur by spinning miraculous messages in her web. This is the plot of EB White's classic, Charlotte's Web. The novel, published in 1952, became an instant classic. Today, it is on the both the NEA and the School Library Journal's Top 100 lists. It was also a 1953 Newberry Honor Book. It will take a few nights of bedtimes to read it, but the story is one your children will love. Awarded with a Caldecott Honor in 1949, Blueberries for Sal by Robert McCloskey tells the story of a mischievous young girl who goes blueberry picking with her mother. There, they encounter a bear family, also picking blueberries for the winter. A mix-up sends Sal with the mother bear and the bear cub with Sal's mother. This picture book is a good quick bedtime read with charming illustrations. Reading to your children at bedtime is a perfect quiet-time activity that allows them to settle down from their busy days before going to sleep. Sharing these stories with your children can help foster a lifetime love of literature.